Crewe-based Locomotive Services has added a Class 45 to its growing loco fleet. FURTHER expansion of the Locomotive Services fleet took place in early February with the acquisition of ‘Peak’ No. 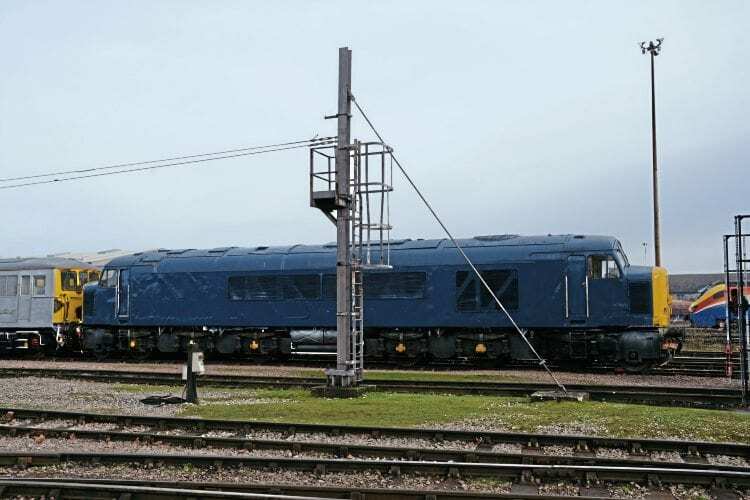 45118 The Royal Artilleryman – which has been located at Loram (formerly RVEL) at Derby since 2009 – by its Locomotive Diesels business. The loco last ran at the Northampton & Lamport Railway until copper thieves struck in 2008, stripping the ‘Peak’ of all its cables and rendering it inoperable. The loco moved to Derby for repairs but they have yet to be completed, and in 2014 the Class 45’s owner, David Young, announced it was for sale. LSL spokesman Peter Greenwood confirmed to Rail Express that Locomotive Diesels Ltd had bought the ‘Peak’.